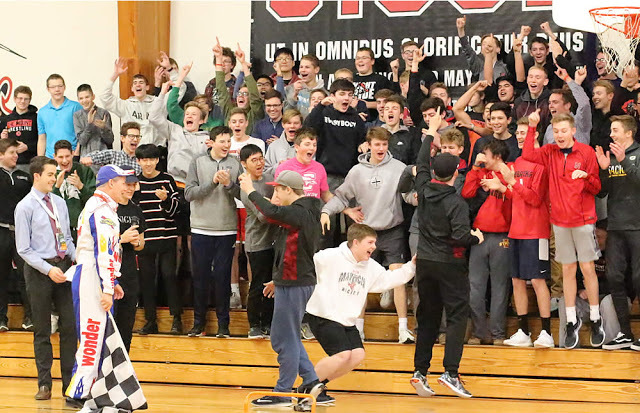 The annual Mount Michael Night of Knights was kicked off with a rally held in the Mount Michael Gymnasium, known as “The Palace”, with a friendly competition between the classes. 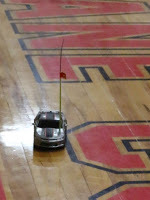 In keeping with this year’s theme the challenge was to race a remote control car though a slalom course. The Sophomores came away as the 2018 champions! In head to head competition they defeated the Freshmen and then the Juniors who had earlier knocked out the Seniors. A great lunch of hamburgers and brats followed.